Rogue One‘s biggest pitfall (although not really a pitfall) was failing to flesh out all the intricacies between the characters. We never see a developed friendship (and even budding romance) between Jyn Erso and Cassian Andor nor did we see any inkling of the past adventures between Cassian and K-2S0. Luckily for us, Marvel will be releasing a canon story about how these two rebels met before the events of “Rogue One”. Marvel’s Star Wars: Rogue One – Cassian & K-2SO Special #1 will be written by Duane Swierczynski with interior artwork by Fernando Blanco. The comic book will not only explore the relationship between the Rebel Intelligence officer played on the big screen by Diego Luna and the reprogrammed Imperial enforcer voiced by Alan Tudyk. 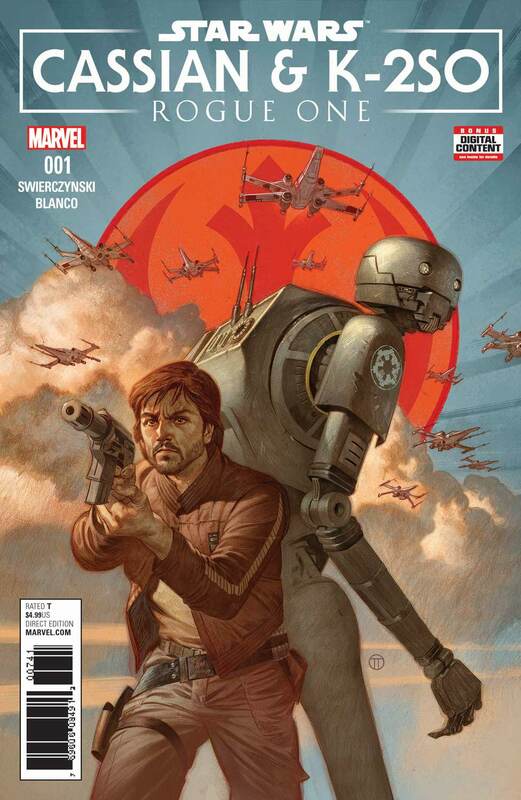 Star Wars: Rogue One – Cassian & K-2SO Special # 1 will ship out this August.